After a sterile few weeks, when birding on the Flats had become all to predictable and dull, actually very dull with a big fat capital D. It was good to finally receive news of a little bit of movement, with a Stonechat seen in the Broom fields - OK, it's hardly big news but it was something, and getting excited about a single Stonechat goes to show just how quiet it's been around these parts recently. Stepping on to the Flats for the first time this year without wearing a hat or gloves, and to be greeted with blue skies and the feeling of warmth from the early morning rays of spring sunshine felt great. I soon found what I presumed to be yesterday's Stonechat in the Broom, but on checking the photos on my fellow patch workers blogs, it was clear this striking adult male was different to yesterday's 1st-winter bird - ooer, that's two birds in two days, the floodgates have opened! Over the next couple of hours I did my best to try and find that 1st returning summer migrant without any joy, but I did add a Peregrine Falcon to the patch year list (68) and later enjoyed a Costa Coffee with Mr Croft as we watched at least two pairs of Skylarks displaying over the grasslands - it was a close call, but I think the Skylarks just edged the coffee for sheer enjoyment. 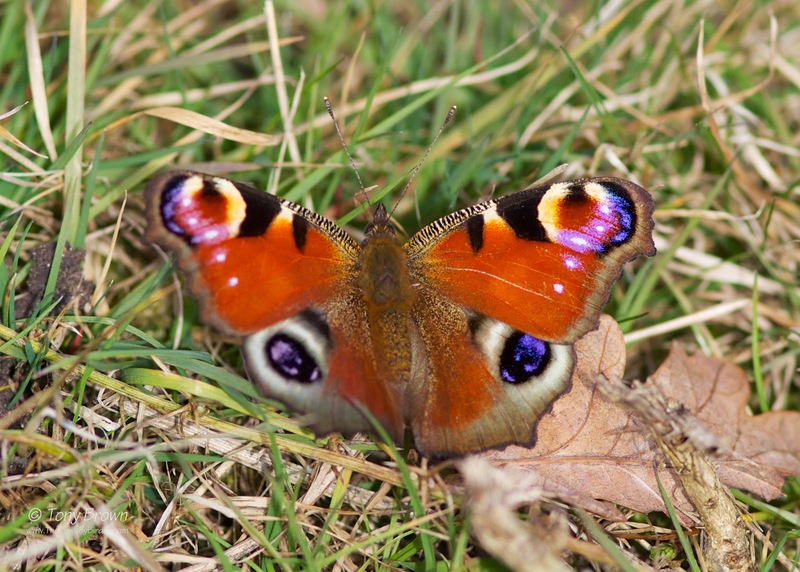 The rise in temperature had also encouraged a couple of our hibernating species of butterfly out from their over wintering haunts, I recorded both Small Tortoiseshell and Peacock butterflies, my first of the year and both looking in pristine condition. Great photos. 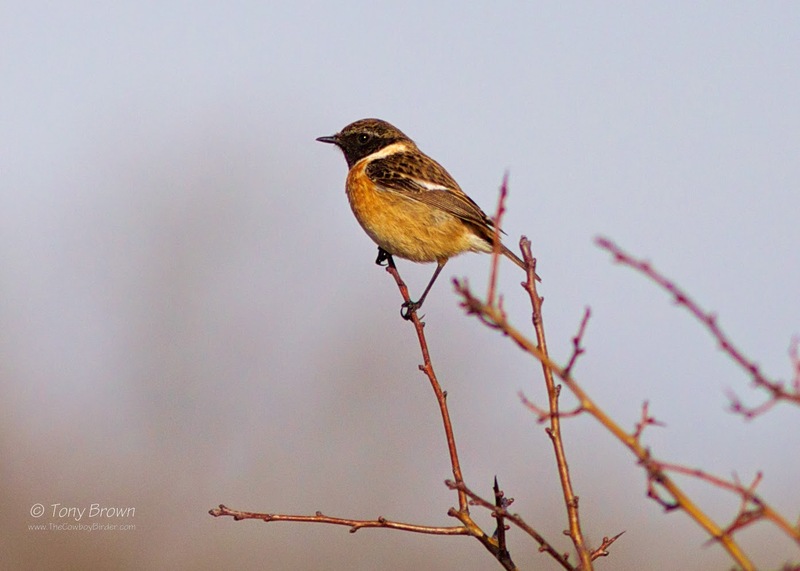 Thanks for pointing out the Stonechat today as well Tony. Thanks, and you're welcome James.